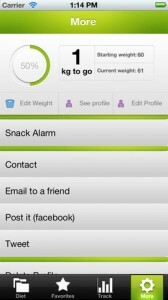 NutriAid is an iPhone app developed by Gad Levy. Whether you’re trying to shed a few pounds, or just want to experiment with a more heart-healthy diet, NutriAid can help you to monitor what you eat. 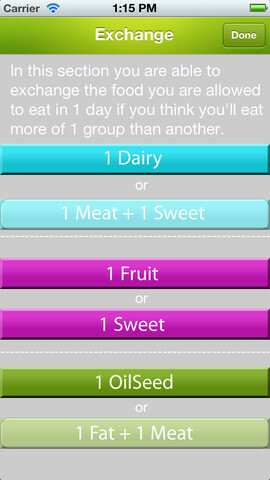 iPhone apps that monitor your exercise or what you choose to eat each day are quite common on the App Store these days. So, what is it that separates NutriAid from the competition? One thing that is really nice is NutriAid’s display system. 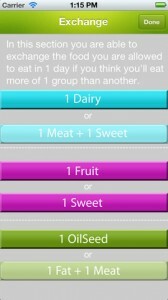 Forget the bars and graphs of other diet apps. In NutriAid, your remaining calories for the day are displayed as outlined icons. 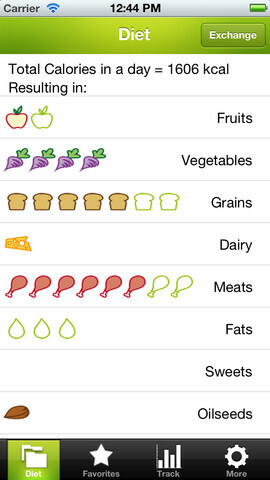 As you eat throughout the day, you can see these icons fill up. 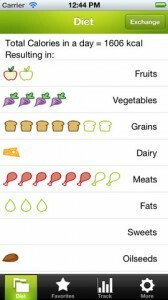 Unlike calorie-focused apps, this “icon” approach makes it really simple to see just how much more food you are allowed to consume during the day, and what types of foods you need to eat more of. 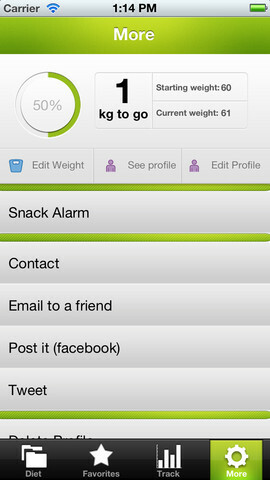 I also love the built-in “snack alarm” function. It is perfect for reminding yourself to eat a small, healthy snack, in order to keep your metabolism up and your blood sugar relatively level throughout the course of the entire day. There are some quality issues. The app is riddled with typos, and the overall design could use a bit of a polish to make it feel more luxurious and trustworthy. It’s a fine looking app, but it could use a bit of sprucing up. 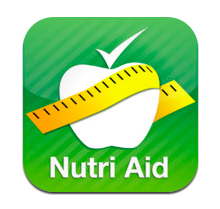 All that being said, if you want an approach to dieting that is less calorie-crazy and more focused on responsible serving sizes and eating a varied diet, NutriAid is worth checking out! 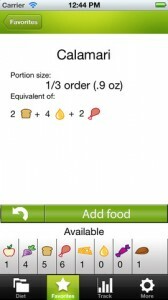 NutriAidis compatible with iPhone, iPod touch, and iPad. Requires iOS 4.3 or later. This app is optimized for iPhone 5. Developer disclaimer: If you are under 16, pregnant or have any health problems this application is not for you. Consult a doctor before embarking on any weight loss program.